Culver’s will be opening a restaurant in Idaho Falls on Pancheri Drive, in the Taylor Crossing on the River development. It will be the fourth in Idaho. The first was opened in Twin Falls in 2014, by Eugene Smith, a fourth-generation Wisconsin dairy farmer who left agriculture and moved west to open a franchise. As an alumnus of Ricks College, where he studied dairy farming, Smith had some experience with eastern Idaho. The chain dates back to 1984, when George Culver, his wife, Ruth, son Craig, and daughter-in-law Lea, opened the first Culver’s Frozen Custard and ButterBurgers in Sauk City, Wisc. Franchising began in 1987, and after a shaky start the chain expanded into Milwaukee and Madison. By the end of 2011, there were 445 Culver’s restaurants in 19 states. 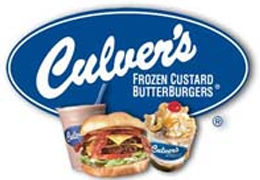 For more information, here is the link to the company’s Web site: www.culvers.com. Great to learn this news, Paul! We've been hoping Culver's would come to Idaho Falls. Thank You!